The team of runners from Bow Street Mall who took part in the recent charity fun run in aid of 'NI Cancer Fund for Children'. 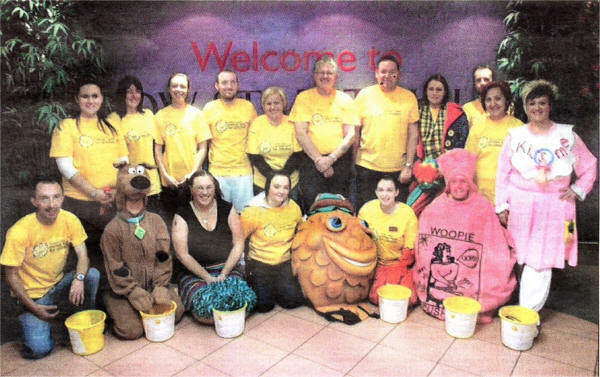 The run involved a relay from Bloomfield Shopping Centre, Bangor to Bow Street Mall, Lisburn. The team were very kindly supported in the fundraiser by a number of sponsors including Lindsay Ford, Lisburn, who supplied two fully insured mini buses for use during the event.